According to analytics firm NPD, today's Black Friday shopping madness highlights a change in North American shopping patterns that will end up with something happening during this quarter that has never happened before. According to NPD, this three-month period will see tablets out ship notebooks and mini-notebooks in the continent for the first time ever, and the trend will continue next year. NPD sees 21.5 million tablets getting shipped in North America during the current quarter, versus 14.6 million notebooks and mini-notebooks during the same time period. Next year should see the first time, on an annual basis, tablets shipped in North America surpass notebook and mini-notebook deliveries. NPD sees the numbers coming in at 80 million vs. 63.8 million respectively. 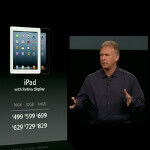 On a global basis, tablets won't out ship notebooks until 2015 when NPD's estimate calls for 275.9 million tablets to ship vs. 270 million notebooks. So what is behind this shift? Well, part of the reason is that with a 70% penetration rate in the U.S., PC's are not on the top of stateside consumer's shopping lists. Secondly, well, U.S. consumers just love tablets. Shipments of tablets rose 200% last year in the U.S. with a further gain of 46% estimated this year, resulting in 56 million tablets being shipped to the country. Meanwhile, after dropping 2% last year, a 2% gain in notebook shipments to the states in 2012, resulting in 55.9 million notebooks delivered in the country, is just too slow a growth rate to compete with tablet shipments. Another factor is that tech giants like Google, and online retailers like Amazon, have put their money behind tablets. NPD adds that the $199 price point has become an important target for manufacturers to meet or beat. 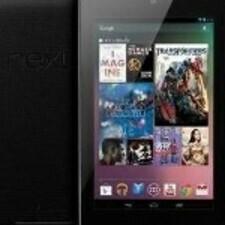 The Amazon Kindle Fire HD and the 16GB Google Nexus 7 are driving sales at that price. The report also mentions the large number of choices that tablet buyers now have with screen sizes of 7”, 7.9”, 8.9”, 10.1”, and 10.6” now available.